The Goodman® GMS95 Single-Stage, Multi-Speed furnaces feature a patented aluminized-steel tubular heat exchanger and energy-efficient Hot Surface Ignition system. 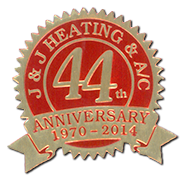 These furnaces are run-tested for heating or combination heating/cooling applications. The 95% AFUE GMS95 qualifies for a tax credit. Contact us for details!